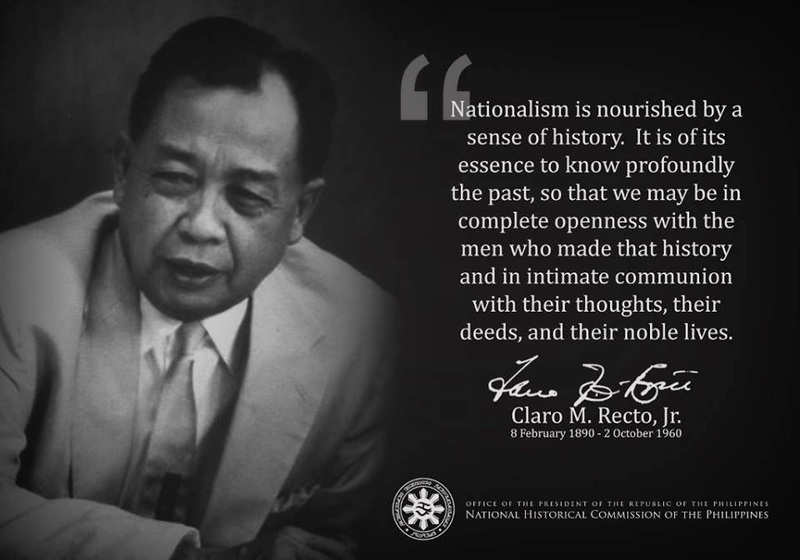 THE FILIPINO MIND: BEGINNINGS OF OUR "CACIQUE DEMOCRACY" aka "ELITE DEMOCRACY"
BEGINNINGS OF OUR "CACIQUE DEMOCRACY" aka "ELITE DEMOCRACY"
"The ruling elites know who their enemies are, and their enemies are the people, the people at home and the people abroad. Their enemies are anybody who wants more social justice, anybody who wants to use the surplus value of society for social needs rather than for individual class greed, that's their enemy." All these realities are compounded by the ruling elite's anti-nationalistic and /traitorous dealings with their alien supporters (residents or companies) who in turn serve their own personal/economic interests. Not even mentioning similar behavior in their negotiations of foreign policies, foreign trade agreements, military agreements, ad nauseam. Below is a brief essay on the history of our dominant "cacique or elite democracy," that is, democracy that works only for the rich and powerful minority. OUR NATIVE "CACIQUE DEMOCRACY" aka "ELITE DEMOCRACY"
The most important step in establishing a new political system was the successful coaptation of the Filipino elite--called the "policy of attraction." Wealthy and conservative ilustrados, the self-described "oligarchy of intelligence," had been from the outset reluctant revolutionaries, suspicious of the Katipunan and willing to negotiate with either Spain or the United States. Trinidad H. Pardo de Tavera, a descendant of Spanish nobility, and Benito Legarda, a rich landowner and capitalist, had quit Aguinaldo's government in 1898 as a result of disagreements with Mabini. Subsequently, they worked closely with the Schurman and Taft commissions, advocating acceptance of United States rule. In December 1900, de Tavera and Legarda established the Federalista Party, advocating statehood for the islands. In the following year they were appointed the first Filipino members of the Philippine Commission of the legislature. In such an advantageous position, they were able to bring influence to bear to achieve the appointment of Federalistas to provincial governorships, the Supreme Court, and top positions in the civil service. Although the party boasted a membership of 200,000 by May 1901, its proposal to gain statehood had limited appeal, both in the islands and in the United States, and the party was widely regarded as being opportunistic. In 1905 the party revised its program over the objections of its leaders, calling for "ultimate independence" and changing its name to the National Progressive Party (Partido Nacional Progresista). The Nacionalista Party, established in 1907, dominated the Philippine political process until after World War II. It was led by a new generation of politicians, although they were not ilustrados and were by no means radical. One of the leaders, Manuel Quezon, came from a family of moderate wealth. An officer in Aguinaldo's army, he studied law, passed his bar examination in 1903, and entered provincial politics, becoming governor of Tayabas in 1906 before being elected to the Philippine Assembly the following year. His success at an early age was attributable to consummate political skills and the support of influential Americans. His Nacionalista Party associate and sometime rival was Sergio Osmeña, the college-educated son of a shopkeeper, who had worked as a journalist. The former journalist's thoroughness and command of detail made him a perfect complement to Quezon. Like Quezon, Osmeña had served as a provincial governor (in his home province of Cebu) before being elected in 1907 to the assembly and, at age twenty-nine, selected as its first speaker. The appearance of the Nacionalista Party in 1907 marked the emergence of the party system, although the party was without an effective rival from 1916 for most of the period until the emergence of the Liberal Party in 1946. Much of the system's success (or, rather, the success of the Nacionalistas) depended on the linkage of modern political institutions with traditional social structures and practices. Most significantly, it involved the integration of local-level elite groups into the new political system. Philippine parties have been described by political scientist Carl Landé as organized "upward" rather than "downward." That is, national followings were put together by party leaders who worked in conjunction with local elite groups--in many cases the descendants of the principalía of Spanish times--who controlled constituencies tied to them in patron-client relationships. The issue of independence, and the conditions and timing under which it would be granted, generated considerable passion in the national political arena. According to Landé, however, the decisive factors in terms of popular support were more often local and particularistic issues rather than national or ideological concerns. Filipino political associations depended on intricate networks of personalistic ties, directed upward to Manila and the national legislature. The linchpins of the system created under United States tutelage were the village- and province-level notables--often labeled bosses or caciques by colonial administrators--who garnered support by exchanging specific favors for votes. Reciprocal relations between inferior and superior (most often tenants or sharecroppers with large landholders) usually involved the concept of utang na loob (repayment of debts) or kinship ties, and they formed the basis of support for village-level factions led by the notables. These factions decided political party allegiance. The extension of voting rights to all literate males in 1916, the growth of literacy, and the granting of women's suffrage in 1938 increased the electorate considerably. The elite, however, was largely successful in monopolizing the support of the newly enfranchised, and a genuinely populist alternative to the status quo was never really established. The policy of attraction ensured the success of what colonial administrators called the political education of the Filipinos. It was, however, also the cause of its greatest failure. Osmeña and Quezon, as the acknowledged representatives, were not genuinely interested in social reform, and serious problems involving land ownership, tenancy, and the highly unequal distribution of wealth were largely ignored. The growing power of the Nacionalista Party, particularly in the period after 1916 when it gained almost complete control of a bicameral Philippine legislature, BARRED THE EFFECTIVE INCLUSION ON NON-ELITE INTERESTS in the political system. Not only revolution but also moderate reform of the social and economic systems were precluded. Discussions of policy alternatives became less salient to the political process than the dynamics of personal-ism and the ethic of give and take.